Nowadays the Museum of Modern Art, aka MoMA, is well known for a rarified take on expensive modern art. I try to go visit MoMA several times a year (natives and savvy tourists know when the $25 admission fee is waived) and often feel frustrated by the insularity and smug self-consciousness of the art. Interestingly, at its inception, MoMA very assertively proposed a very different model. It conceived of itself as a place whose mission was "educational in the broadest, least academic sense," in the words of Alfred H. Barr, Jr., MoMA's founding director. 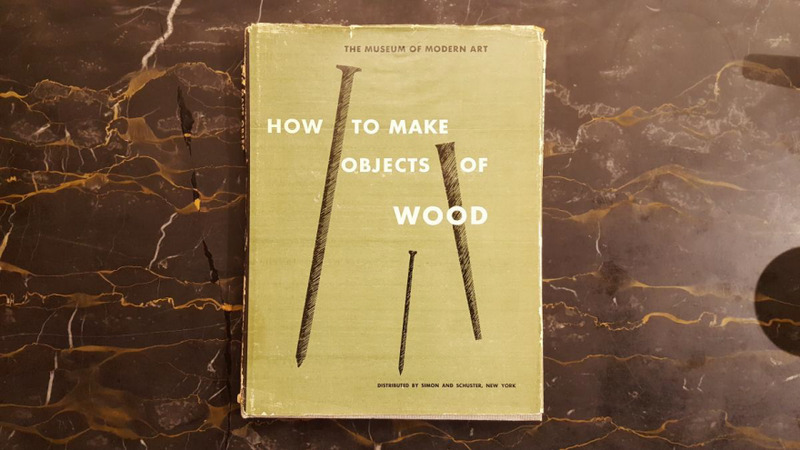 I own an intriguing book published by MoMA in 1951, "How to Make Objects of Wood," in keeping with this mission. 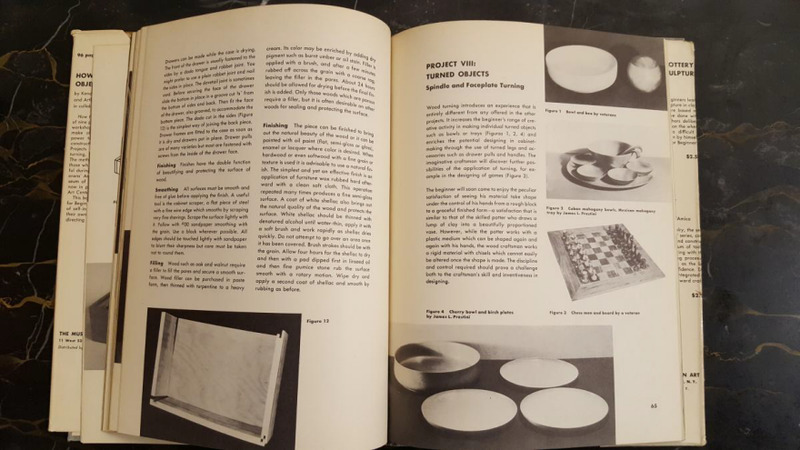 The book was the third in the series, "Art for Beginners," which was "planned as a means of self-instruction for persons working on their own and as an aid for the teacher in directing large groups." The authors of the book included Victor D'Amico, a progressive educator who began working as the director of MoMA's Education Project. In that capacity, he created several outreach programs, including MoMA's War Veterans' Art Center and its successor entity when the veterans' center disbanded in 1948, the People's Art Center. The book's other two authors, Kendall T. Bassett and Arthur B. Thurman, were affiliated with War Veterans' Art Center; Bassett was also affiliated with the People's Art Center. I must confess that I was struck by these entities' names, which certainly evoke another era. MoMA has an extensive education program to this day, but the activities, which include a lovely program for kids and on-line and in-person classes for all ages, really focus on art appreciation. Hands-on craft is generally restricted to kids' projects. 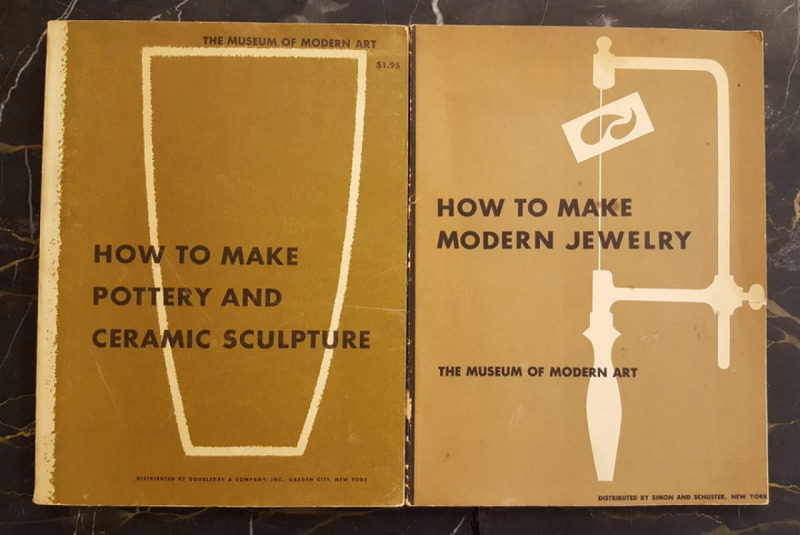 I couldn't find MoMA classes for adults that promoted craft as something to do oneself, rather than something to admire when an expert creates it. But the War Veterans' Art Center and the People's Art Center promoted the idea that art could be made by all sorts of regular people. Rather than just copying what was in a gallery (the traditional museum approach), students at these Centers worked in a workshop to develop their craft and creativity. According to this press release announcing the War Veterans' Art Center's first art show, "The Art Center has a twofold object: to give veterans an opportunity for personal satisfaction in creating some form of art; and to provide preliminary professional training in the fundamentals both of fine and applied art." 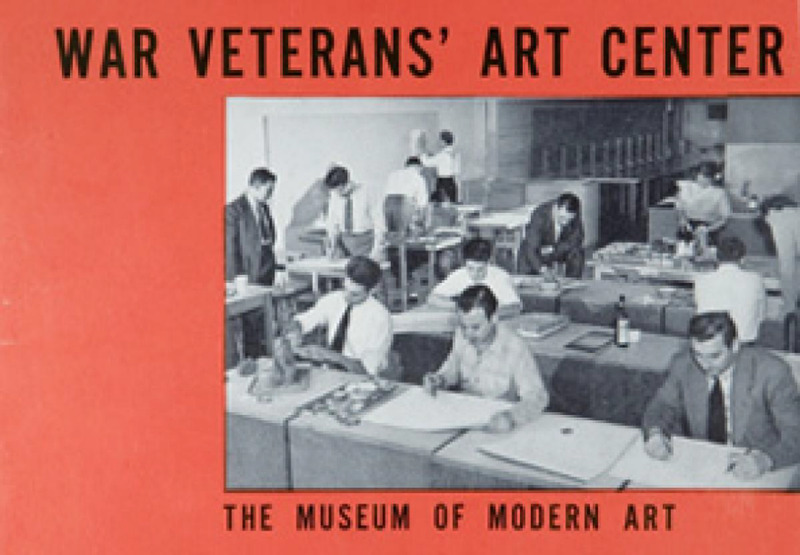 The center, which was founded in 1944, 15 years after MoMA's founding, was open free of charge (for both instruction and materials) to all returned service men and women. The press release described the center as " a place where returned service men and women not only learn but produce painting, sculpture, ceramics, industrial design, jewelry, silk screen printing, graphic arts and allied subjects." The first year's divisions included Design Workshop; Drawing and Painting; Graphic Arts; Jewelry and Metalwork; Lettering, Layout, and Typography; Orientation; Sculpture & Ceramics; Silk Screen Printing; Wood Engraving and Book Illustration; and Woodworking Design (taught by Kendall T. Bassett). A typical student was a veteran who, prior to the war, worked as a farmer but "doesn't want to go back to farming and has decided that our class in Woodworking Design offers him an opportunity to develop a new vocation." Another student mentioned by the administration suffered an eye injury in combat and was cautioned to avoid heavy labor. "Attracted by the class in Woodworking Design, he came to the Center where he hopes to learn to make toys and small furniture, thus using his skill without physical strain." Response and Responsibility: The War Veterans' Art Center at the Museum of Modern Art (1944-1948), a master's thesis written about the center, noted that veterans were screened but allowed to enroll at any point of the class and proceed at their own pace at projects that were organized for increased complexity—a system Victor D'Amico developed specifically for veterans, although it has obvious echoes in progressive child education generally. What did the books have to say? 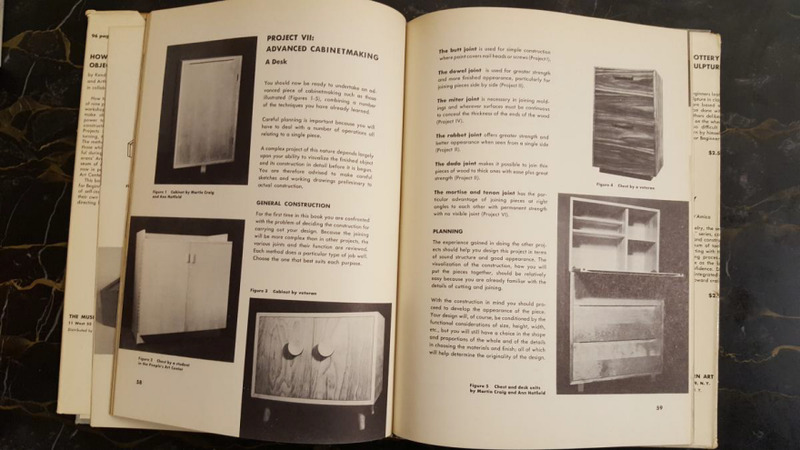 How to Make Objects of Wood is a notably straightforward book. 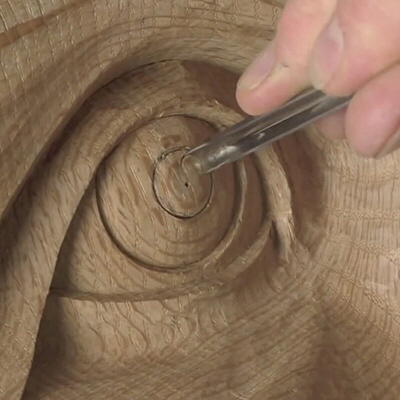 There isn't chat about the philosophy of woodworking. The text, which addresses design and construction techniques, and the numerous black & white photographs and sketches, all come right to the point.The tone is encouraging in its matter-of-fact belief that the reader can accomplish a great deal if he or she follows the instruction. The participants from the War Veterans' Art Center were, after all, experienced at following commands. The projects start out with a joint and eventually graduate to a desk and dollhouse. You can do it, the book suggests. We believe in you. Although MoMA's progressive centers had broad support from its trustees, including members of the Rockefeller family, they withered away with the retirement of their chief champion, Victor D'Amico. 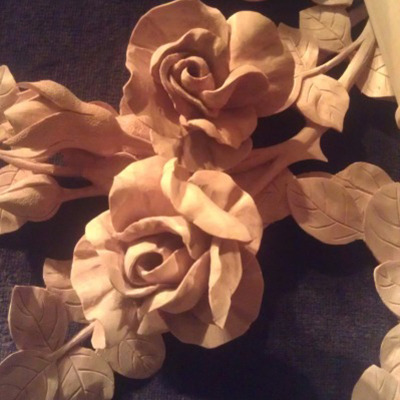 The redemptive project of making "objects of wood," as the humble title called them, was forgotten. Nowadays we have plenty of veterans, plenty of art museums and a profession called "art therapy" that requires a master's degree. But we don't teach woodworking at museums, and we generally separate therapy from vocational training or just evening education. Programs like the War Veterans' Art Center or the People's Art Center ended up unable to survive the absence of their charismatic leader, but the ideas they represented deserve a resurrection. I want my wood Objectified. 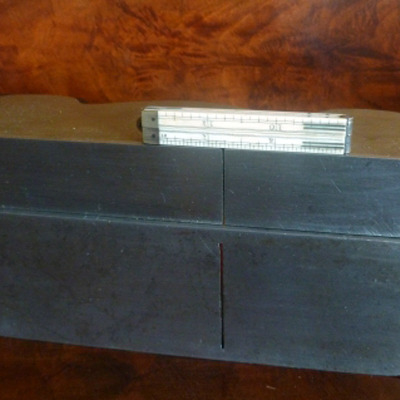 Tools & Craft #60: Do You Really Need an Adjustable Mouth on a Handplane?